Happy Social Media Day: What is it anyway? 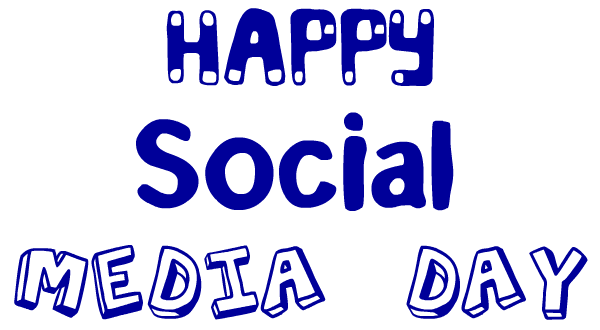 Today, June 30th is "Social Media Day". I'm not really sure what all that means, but I love Mashable and celebrating, so I'm going with it! LOL. Mashable calls it "A day to celebrate the revolution of media being social", but I'm sure many others are calling it "an excuse to party!". I thought today would be a great day to try and answer the question: "What is Social Media?". Even as a person that’s been doing this for some time, I can tell you that you’d be hard pressed to find a concrete answer to this question, and that’s because the term is so broad and the technology and mechanisms on which it works changes rapidly. Despite this, today I’m going to endeavor to explain what social media is, and how it works, and I hope that someone will find my effort to be useful. A while ago, I came across an excellent video on YouTube by Common Craft called "Social Media in Plain English" that talks about this, and it sums of how social media works great. I really didn’t expect much, but much to my surprise this brief 4-minute video did an EXCELLENT job of explaining social media and how it works in terms that almost everyone can understand: Ice Cream. In this week's podcast, I do my best to try and sum up the video, but you're more than welcomed to watch it below, and leave your comments and let me know what you think about it or today's podcast.